Toonhound Studios LLC, 9780988220249, 144pp. Navigating the rocky shores of self doubt with charm and honesty, 100 Demon Dialogues is a collection of comics for anyone who wants to talk back to the little voice in their head that says "You're no good." Cartoonist Lucy Bellwood is beset by a tiny, petulant demon who embodies workaholism, imposter syndrome, and fear of missing out. Fed up with its constant nagging, she sets out to defang and humanize her inner critic in a series of conversational comics. From overcoming self-doubt to prioritizing self-care, Bellwood and her demon embody a hilarious and relatable partnership that will resonate with people from all walks of life. 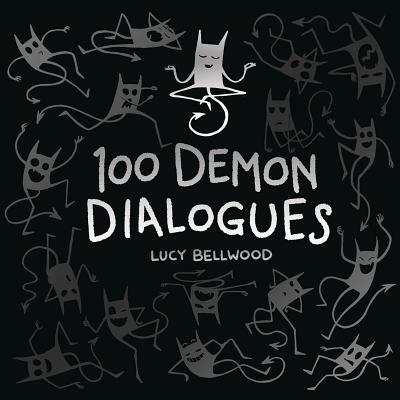 100 Demon Dialogues reminds us that we are not alone in our fear, and that our best self always comes hand-in-hand with a little demon of our own.